The theory is that when it comes to any type of damage to the skin, prevention is better than cure. But the reality is that we don't always have the time; take the time; have the tools or the knowledge necessary to prevent skin damage. This summer has been particularly hot and sunny and no doubt carefree days in the sun has resulted in mega fun times for you, but perhaps not so much for your skin? Did you really remember to diligently apply your sunscreen? A flash social media poll of over 100 participants revealed 50% of respondents felt that as summer draws to a close they are experiencing lack of moisture, dry and rough texture, hyperpigmentation, blotchy skin, uneven tone and premature ageing to their skin which they feel is associated with sun damage. As we approach autumn all is not lost,they are many things you can do to nurse your skin back to optimum health. Firstly, take a look at the products in your skincare wardrobe, ensuring they contain active ingredients that work efficiently and effectively. Vitamin C (also known as Ascorbic Acid) mitigates the effects of UV damage by increasing the production of collagen in the skin, reversing the reactions that produce melanin and reducing free radical damage – all of which are required to prevent premature ageing, keep the skin plump, smooth and diminish pigmentation. Though much lauded, Vitamin C can be highly unstable and its potency quickly diminishes. Fortunately, there are sophisticated formulations including those that combine Vitamin C with additional antioxidants like Vitamin E and Ferulic Acid to improve product stability and double its skin protecting properties. 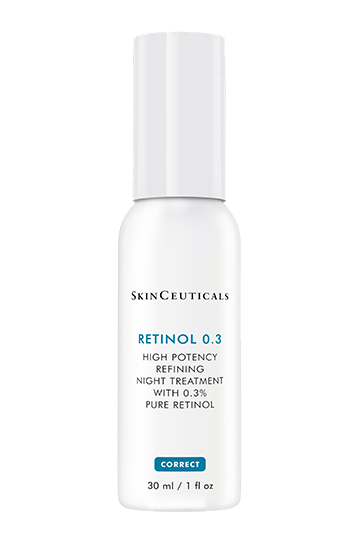 Retinoids (retinol, retinaldehyde, tretinoin, adapalene, isotretinoin, retinyl esters) come from the family of Vitamin A that normalises the function of skin cells. If you’re noticing some signs of ageing in your skin this is the gold standard ingredient required to reduce existing signs and prevent new damage from occurring. Its benefits are far reaching and include programming our skin to regenerate effectively so that under performing skin cells that contain excess pigment are sloughed off quickly, unblocking clogged pores and improving the skins matrix so it contains the optimum amount of collagen, elastin and bio available hyaluronic acid. This wonder ingredient is usually found in our oral care products and wound cleansers due to its amazing antiseptic and anesthetic properties. Recently, hexylresorcinol has been found to be a key ingredient in skincare. It possesses the excellent ability to reduce hyperpigmentation and reduce the appearance of fine lines. Additionally, it enhances the activity of our antioxidant enzymes to offer the skin protection against daily pollution. Hydroxy acids are used extensively in skincare from toners to moisturisers as they are effective in providing chemical exfoliation to the skin. The increase in cell turnover caused by exfoliation means there is less uneven pigment concentration in the skin. In addition, acids improve collagen quality, skin hydration, skin clarity and thickness. It is very easy to include Hydroxy Acids in your daily skincare routine as you can find them in most skincare products including cleansers, toners, moisturiser, serums and at home treatments. You can’t go wrong with this ingredient – its immense water-binding properties boosts moisture in the upper layers of the skin helping to relieve any dehydration or tightness caused by sun damage and helps restore the skin to perform its normal functions. It can provide an instant solution to dry and rough texture skin that some people refer to as ‘ashy’, leaving your skin feeling supple, plumped and any signs of ageing less noticeable. Having fantastic ingredients in your bathroom cabinet is one way of alleviating summer sun damage and keeping your skin in great condition. However, to truly recharge your skin, including professional treatments is the way to go. Whilst there are plenty of treatment options available, we have selected our ‘go to’ rejuvenating treatments for post summer skin. Darker skin tones should opt for fortnightly or monthly superficial Hydroxy Acid chemical peels. Chemical peels using Glycolic, Lactic, Citric or Mandelic acids exfoliate dull and roughened skin cells from the skins surface that occur after sun damage to reveal newer and fresher skin cells. Darker skin tones should typically avoid medium and deep chemical peels as they run an increased risk of post-inflammatory hyperpigmentation, scarring and require more downtime to heal. Lasers like Nd:Yag and PiQo4 can be used to resurface and clarify the skin by removing underperforming skin cells that hold on to old excess pigment causing skin to look patchy and tired, whilst also plumping collagen to smooth out superficial fine lines. These lasers are particular suited for darker skin tones as they are less likely to injure the skin and cause scarring. Light Emitting Diode (LED) is also great for healing sun damage skin. It speeds up the skins ability to perform its normal functions - increasing blood circulation; stimulation of collagen and elastin; boosting internal moisture and reducing inflammation. Red Light Therapy is best suited to treat sun damage – it strengthens the skin matrix by stimulating collagen; accelerating skin healing to eventually even out skin tone; improving moisture levels and fading blemishes. It goes without saying (but we’ll say it anyway) that daily application of sunscreen will go along way in protecting your skin from the damaging effect of the sun, be it summer or not. As you can see the options for safely atoning your summer skin sins are plentiful. Intelligent ingredients, clever formulations and high powered technology can be combined to offer superior results for black and darker skin tones.